James Walsh has been in a nostalgic mood when it comes to his introductions to "Fever" during the Out In The Fields Of Winter Tour. In Leamington Spa on night one, he admitted - for the first time that I've heard - that the song was about an ex-girlfriend ("Most of them are! "), while London's intro mentioned the excitement when they heard Steve Lamacq play it on Radio 1 in early 2001. 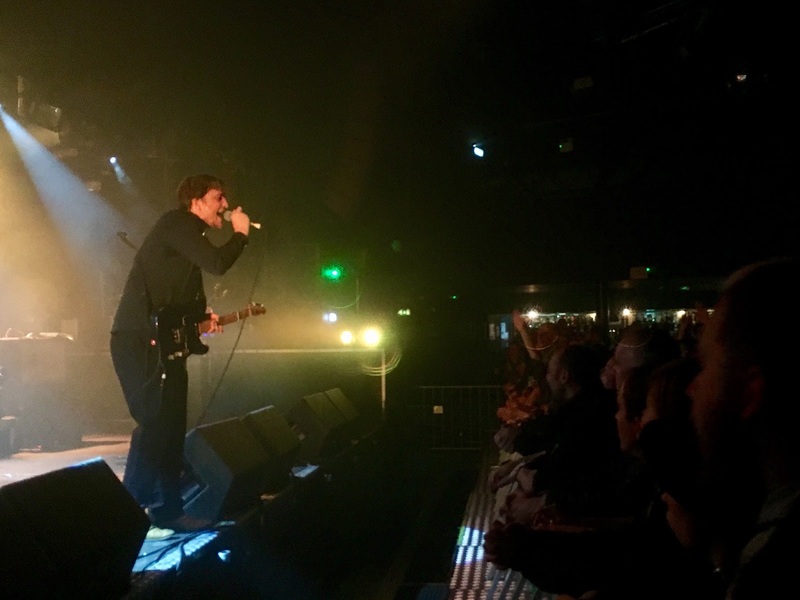 On Sunday night in Nottingham, the band's fifth show in as many days, he dedicated it to anybody who attended the band's gig in the Robin Hood city at the Social (now the Bodega) in March 2001. "A great night," he recalled. Maybe in 15 years’ time, Walsh will recall the band’s return to Rock City, which doubles up as a gig venue and student-friendly nightclub, with similar fondness. Playing in Nottingham’s famed venue for the first time since 2005, the power of Walsh’s voice throughout was remarkable. It didn’t sound tired or thin at any time during the show – a remarkable feat given how he never holds back in going for the difficult notes, and that this latest gig was off the back of shows in London, Cardiff, Southampton and Norwich. “I can’t drink much afterwards,” he admits. “Plenty of honey, lemon and steam help a lot, too. The loud audience also led to arguably the best two moments of the night. First, in the gap between “Keep Us Together” and new song “Best Of You”, most of the venue burst into an impromptu singalong of the “woah oh woah!” part from the former’s chorus. Then, during “Four To The Floor”, as he went to “scope out the crowd” during the final choruses, his mic cable came out. No need to panic, though: having already shown their willingness to join in with the songs, the crowd took over brilliantly. So good were they that, once the technical problem was rectified, Walsh’s first instruction to the band was “more choruses!”. Speaking afterwards, he said: “We had Doggen out of Spiritualized playing guitar with us for “Tell Me It’s Not Over”, “Silence Is Easy”, “Four To The Floor” and “Good Souls” tonight. Songs like “Four To The Floor” and “Fever” have been a mainstay of the band’s set for over 10 and 15 years now; remember, the Stones continue to play “(I Can't Get No) Satisfaction” five decades on from its release, which puts to bed any debate over whether or not they should keep their place. Of course, with two new songs in the setlist, plus an album and tour likely for 2017, Starsailor are far from a nostalgia act. If anything, it’s also clear that many of the set’s older tracks mean more than ever all these years on. “Her Iron Hand did not understand the plight of the common man,” in “Four To The Floor” may need a slight tweak to reference Theresa May’s expensive leather trousers, but the sentiment is the same. In the year when fear, paranoia and division won out with Brexit and Trump, the key line from “Keep Us Together” – “it should be where you’re going, not where you’re coming from” – becomes more pertinent. Heck, even the song title is as good a retort to the division that many seek to sow. And even when the band ended their set with one of those songs played at the Social gig nearly 16 years ago, that moment still felt as new as ever for Walsh.